Nigeria had never lost to Niger at the senior level of football until the March 14 encounter, which ended 2-0 in favour of the Mena of Niger. Kazeem Busari observes that the result brings to fore the argument on whether the home-based players are ready to be in the Super Eagles. The failure of the Super Eagles Team B to make an appearance at the African Nations Championship to be hosted in Sudan next year has been described as a major setback for the Globacom Premier League players who have been agitating to be included in the senior national team. The team, coached by Okey Emordi, failed to qualify for the maiden edition held in Cote d'Ivoire in 2009. It lost to the Black Stars of Ghana 3-2 in Accra raising hopes of taking advantage of the away goals in the second leg tie. But two weeks later, the Eagles failed to fly in Calabar as the Ghanaians held them to a goalless draw to dump them out of the race. Every Nigerian was praying for a lone goal thinking if they could score in Accra, it would not be difficult to replicate such on home soil. They were disappointed. It was dÃ©jÃ vu penultimate Sunday as the team again, led by a former Eagles forward, Daniel Amokachi, failed to capitalise on home advantage to upturn the defeat they suffered in Niamey a two weeks before. The first encounter had ended 2-0 and in spite of losing on away soil, football followers were baffled that a team rated 163 on the FIFA rankings could beat a former African champion. They questioned the quality of the players in the team and demanded to know the qualification of Amokachi to manage a national team. Following the defeat of the team in Niger, Amokachi quickly made drastic changes to the team. He dumped seven players namely Segun Oluwaniyi (goalkeeper 3SC); Isiaka Olawale (midfielder, Kwara United); Emma Nwachi (striker Dolphins); Bello Kofarmata (Heartland); John Agbawu (Sunshine); Kayode Abiodun (Gateway) and ThankGod Amaefule (Sharks). In the bid to make his team more formidable, he brought Heartland's John Owoeri, Ahmed Musa of Kano Pillars, Warri Wolves forward ThankGod Ogude, Sharks' Ahmed Kadiri and Wolves' goalkeeper Chigozie Agbim. A team that had Bassey Akpan in between the posts, Chibuzor Okonkwo in the defence, Owoeri and Bartholomew Ibenegbu supporting the strike force did not look like it would lose. It did not lose, it only failed to score. A former Eagles and Enugu Rangers coach, Christian Chukwu, said the problem with the team in the two matches was a result of a number of factors affecting the domestic league which produced the players. He maintained that no particular person could be identified as the problem of the league but insisted football administrators in the country were to blame for the dismal performance of the national team. 'You can't convince me we don't have 11 good players to beat Niger any day,' Chukwu, fondly called Chairman, said on the telephone a few hours after the match. 'What we saw only showed us the level our domestic league has sunk to. It has shown us the type of coaching system we have in our football. It has shown us the players lack the quality to be at big competitions. 'The league has a long way to go if we must take it to the level we desire. I don't know how it was rated the best in Africa when we still have so many issues dragging it back. 'For a league that is highly rated in Africa, we should not have less than 30 foreign players plying their trade in the country. But this is not possible because the league is not well managed. The players are not paid their salaries and a lot of welfare packages are not in place. How do we expect to get the best from such players? 'One of the major problems of the league is that government has a strong hold on it. A club owned by a state government will always have politicians running it. It cannot enjoy the touch of professionalism needed to improve the players and the league. 'These are some of the things that encourage the win-at-all-cost attitude we see in some matches. 'On the matter of the Eagles coaches, I think the job should have been given to a more mature person. We cannot afford to experiment all the time with big matches. 'Too much risk was taken ahead of that match. They took risks in appointing the coaches and also in preparing the team. 'There should have been friendly matches played before those games. Those players had not played together before and you expect them to perform wonders against a team that had been preparing more intensely. 'The last time we were eliminated, nobody thought about this edition. They started preparing few days before the match. Another former Eagles coach, Adegboye Onigbinde, would rather see the problem from a different perspective. He said he was not surprised by the result and explained the decline in the standard of football in the country as a failure of the administrative system. He said, 'There has to be a concerted and sincere effort to develop our football. We are only pretending as if nothing was wrong but the decay is there for us to see. 'It is not only the home-based players that have failed. If we say our league is the problem, how about the foreign-based players who failed to impress during the World Cup qualifiers and the Nations Cup in Angola? Shooting Stars Sports Club Team Manager and a former Eagles defender, Ajibade Babalade, puts the blame on the players and their respective clubs. He said some of them were used to winning matches at home when they take advantages of poor officiating. Ajibade, who was lamenting the standard of officiating in the match between 3SC and Kaduna United in Kaduna, described the Eagles as products of a poorly administered league. A former assistant coach of the Eagles, Joe Erico, also blamed the standard of the league for the Eagles dismal display but insisted the Nigeriens had never been pushovers in the game. 'The league has been a disappointment so far,' Erico said on the telephone on Monday. 'There is nothing to look forward to when you watch our league matches. The matches are predictable and the results are always the same as the home teams always get the victories. 'We get bad officiating in our matches because referees are afraid to rule against home teams. They are beaten up each time a home team loses because there is no security. As a result, you don't get the best from the players. 'But we should not forget that our opponents were not that bad in club football. I played against them in my playing days and I know they have beaten us before. 'I believe the Eagles should have been given more time to play together before the match. That would have helped them in blending properly. 'They should have psyched them, test them and then evaluate them days before they played. 'The team they played was the first team of Niger. That country hardly had any foreign-based player. But if our players were saying they deserved a place in the first team, then they should have put up a better display. 'In as much as we blame the system and the players, we cannot leave the coaches out of blame. 'A coach needs personality to influence his players. 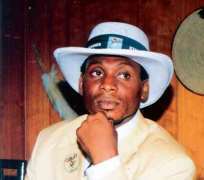 I don't know the personality of Amokachi and I don't know how he manages his players who sometimes, are influenced by their coaches' attitude. The Eagles and the Mena first met in 1965 in a friendly match which Nigeria won 4-0 in Lagos. The Eagles beat the Mena 2-0 in 2006 in a Nations Cup qualifier in Abuja and in the return leg tie in Niamey in 2007, overcame the hosts 3-1. The team's failure to secure a ticket to 2011 CHAN may just have sealed the players' fate to be excluded from Lars Lagerback's Eagles list for the World Cup.